We're pleased to offer you the following promotional rates on your packages, ahead of some pricing changes that will come into effect from 15 January 2018. 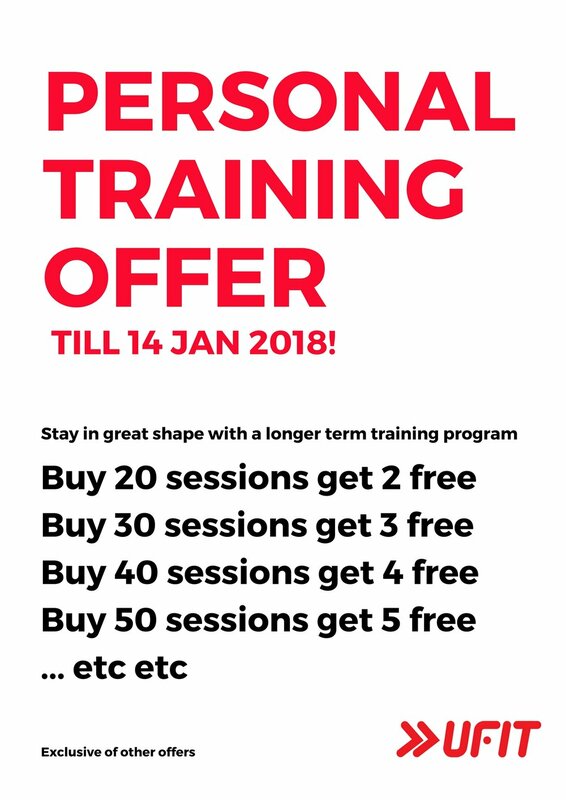 It's on again - special offers on training packages until Sunday 14 January 2018. Please be aware that from 15 January 2018, we are standardising our pricing across UFIT to reflect the introduction of GST in some of our businesses, which may result in slight rises to your package prices from that date. Please talk to your community manager, trainer, CrossFit coach, physio or bootcamps manager for more info regarding your package details. We are pleased to offer you the following promotional rates before the new pricing is implemented and these offers apply to all existing prices until 14 January 2018. Older PostMRI scans - are they necessary?